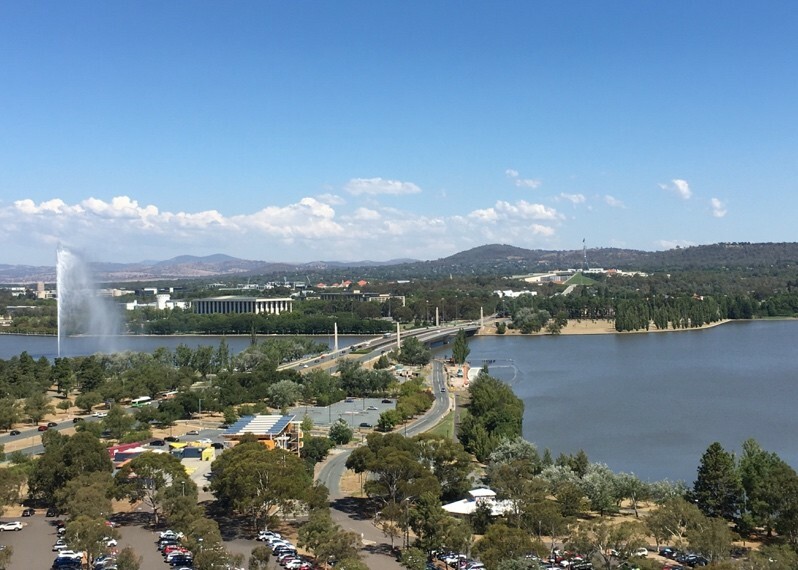 Canberra, our nation’s capital and the host city for the 2017 USANZ ASM, is a gem in its own right, but one which was created to satiate two feuding states locked in a bitter rivalry. In 1908, Canberra embodied the very meaning of compromise and collaboration, a technique which has garnered much success for our Country over the ensuing 100 odd years. Arguably the first official Australian collaborative effort, this way of thinking has become an almost uniquely Australian attribute and a strength imbued in our national pride. Canberra from up high, a breathtaking backdrop for a fantastic USANZ ASM. Given this year’s mantra of: “Capitalising on our strengths” It is perhaps fitting then, that the 70th anniversary of the Urological Society of Australia and New Zealand (USANZ) Annual Scientific Meeting (ASM) including the Australia and New Zealand Urological Nurses Society (ANZUNS) 22nd ASM, should be held in such a location. In addition to providing some wonderful tourist opportunities for guests including the War Memorial, the National Gallery and Parliament House. Convenors A/Prof Nathan Lawrentschuk and Kath Schubach went to great efforts to successfully welcome both national and international guests and Scientific Program Directors A/Prof Shomik Sengupta and Carla D’Amico ensured a star-studded academic program addressing contemporary updates in Urological evidence based practice, which were aptly discussed both inside and outside the confines of the National Convention Centre. The representation by International faculty was exceptional, with countless urological household names from world leading centres across the globe both involved in the academic program and socially. Urological goliaths including Prof. Christopher Chapple, Prof. Prokar Dasgupta and Prof. Laurence Klotz weighed in on various topical issues providing an intercontinental perspective that complimented the equally impressive national line-up of speakers. As with previous years, use of social media was rife, with those not able to attend kept in the loop via #Usanz17 and a steady stream from the ever focused twitterati. 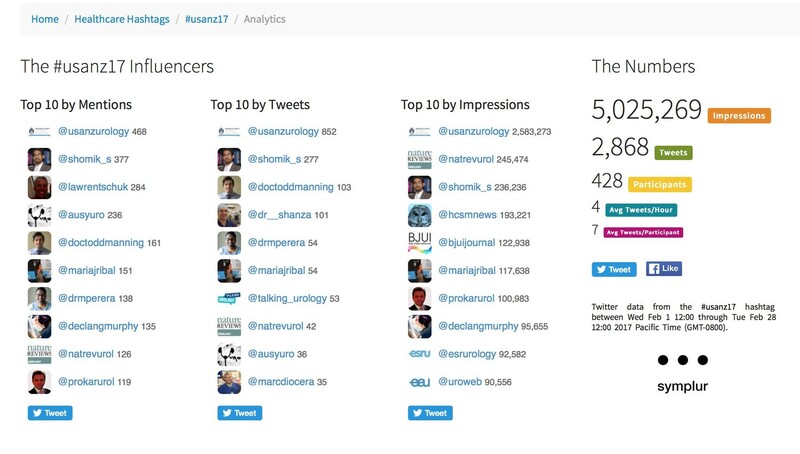 The ASM provided more than 5 million impressions and over 2800 individual tweets from more than 400 participants. The usual suspects were eminent as always, along with a few newcomers who provided impact in their own right. The official USANZ 2017 App also kept participants up to date via timely notifications and was user friendly. Guests were spoilt for choice in the convention centre during well timed breaks, which was perpetually abuzz with attendees networking. In the background the ‘Talking Urology’ team headed by Mr Joseph Ischia and A/Prof Nathan Lawrentschuk provided a steady stream of captivating interviews with guests, regarding a myriad of urological topics. Simultaneously, numerous academics gave brief summaries of research posters during allocated presentation sessions. Exhibitors provided a captivating backdrop for these activities including many hands-on simulators and challenges for those keen to test their dextrous mettle. All the while guests relished a variety of delectable culinary options. 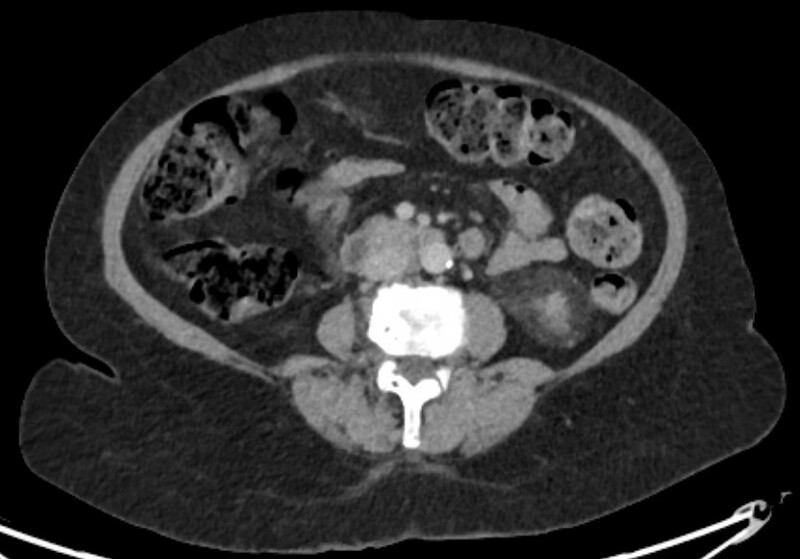 The meeting’s common themes were strong and pertinent to contemporary urology. 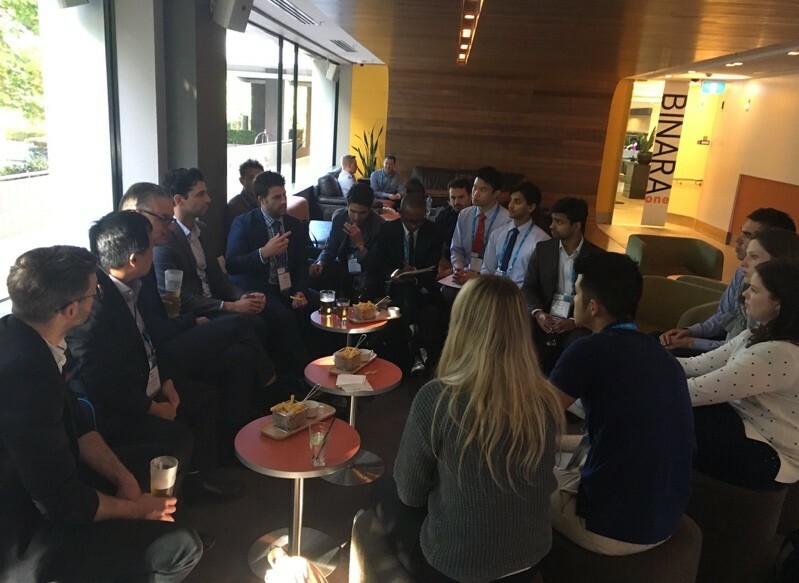 They centred around collaborative research efforts such as the ANZUP trials group and the Young Urology Researchers Organisation (YURO), technology especially PSMA PET and social media and social justice including women in urology and operating with respect. Discussions were directed by chairpersons during purposefully allocated Q&A times at the conclusion of each session, a new and well received addition to this years meeting. This was generously embraced by both senior and junior academics and led to intriguing symposiums and at times heated debate. The first official day of proceedings provided a smorgasbord of morning and afternoon workshops ranging from technical skills courses to the medico-legal implications of E-Health and technology. This was followed by an allocated networking session for Urology trainees with International faculty. Officially opening the conference in the Royal Theatre of the convention centre, A/Prof Lawrentschuk introduced this year’s Harry Harris orator; Elizabeth Cosson, AM CSC. Her speech entitled “leading with grit and grace” eloquently detailed her journey in the armed forces and highlighted the difficulties of the unmistakably imbalanced workplace for women in the military. Her talk clearly underlined her role in not only forging a highly successful career for herself but also for those women following in her footsteps. Her inspiring dialogue was synchronous with contemporary issues surrounding Urological practice, especially concerning equality for women but more resolutely, appropriate equity both in training and established practice. With the tone well established for an exceptional meeting, guests enjoyed a variety of canapés and drinks in the exhibition hall, unwinding with social discussion. Plenary sessions aplenty began the second day of proceedings with International academic giants including Prof. Klotz, Prof. Chapple, Prof. Traxer and Prof Nitti mixed in with National heavy hitters such as Prof Frank Gardiner, Mr Daniel Moon and outgoing USANZ president Prof. Mark Frydenberg. Afternoon sessions included subspecialty discussions and some stellar Podium Poster presentations, with an especially impressive mix of senior and junior researchers regarding countless and diverse urological topics. Heralding the beginning of another exceptional day, the ‘Women in Urology’ breakfast symposium chaired by Dr Anita Clark along side distinguished panellists including Dr Caroline Dowling and Dr Eva Fong was a conference stand out for many. award for his multicentre retrospective review on Robot assisted salvage node dissection to treat recurrences detected by PSMA PET. 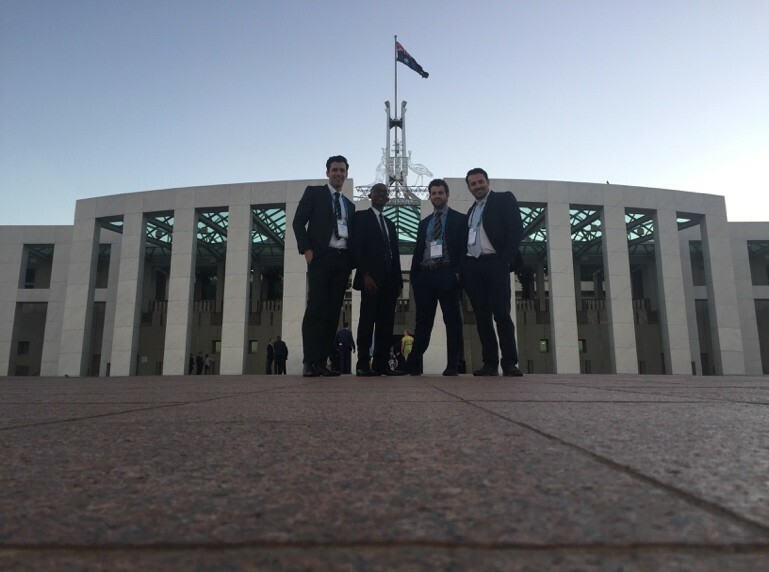 Following these presentations, the YURO annual meeting once again heralded a complement of enthusiastic, innovative and clever minds from all Australian states, eager to pursue research opportunities through collaborative means. Joined this year by Prof. Henry Woo, the group was fortunate to receive his valuable insight and feedback regarding past success and future direction. The group solidified upcoming positions of leadership and highlighted new directions in educational, research and mentorship avenues for younger members. The Gala Dinner is a stand out affair during each ASM and this year was no exception. 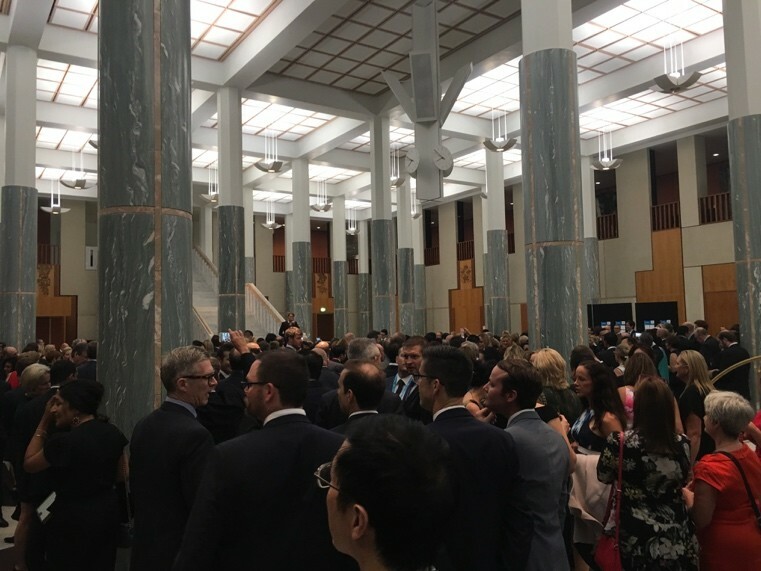 Guests were provided with the unique opportunity to see Australia’s Parliament House from the inside. The night began with surprise operatic renditions of many well known classics in the spacious foyer of the Great Hall and culminated with a climactic performance of Nesson Dorma. Guests then enjoyed a delectable 3 course meal in identical fashion to a rare collection of political royalty including; Barack Obama, Prince William and the Duke and Duchess of Cambridge. The final day of proceedings saw once again provided an array of interesting and thought provoking topics. 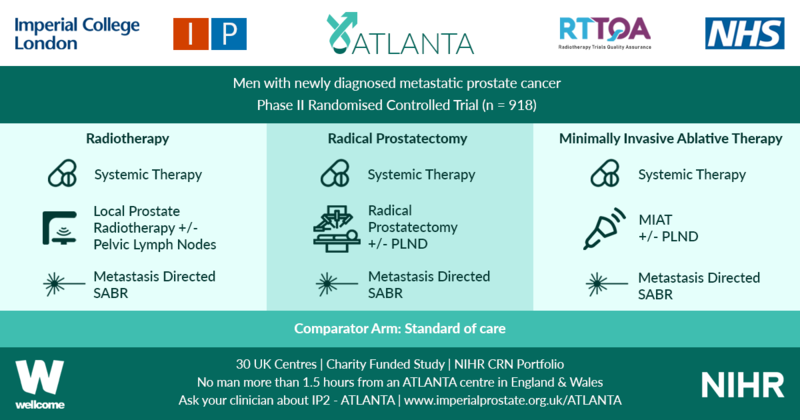 The clear highlight of the morning was the metaphorical prize fight between Mr Joseph Ischia and Dr Shankar Siva debating the roles of surgery and radiotherapy in Oligometastatic disease. Although these two went toe to toe over many rounds, the inevitable conclusion was understandably a draw. Although on PowerPoint slide pictures alone, Dr Siva’s extensive use of Star Wars based analogies won my vote. Insight and introduction to the 71st USANZ ASM was then delivered and as a Melbournian my bias was admittedly hard to hide. Attendees received a taste of the excitement to come, with what is assured to be another blockbuster cast of national and international urologists led boldly by Convenor Mr Daniel Moon and Scientific Program Director Prof. Declan Murphy. I for one, eagerly anticipate the return of the ASM to out Nation’s culinary and cultural capitol and I’m sure guests in 2018 will be captivated by the world most liveable city! It can be said with certainty that this years USANZ 70th ASM presented a scientific program as strong as ever within a fascinating and historical backdrop and complimented by a lively social atmosphere. This consensus of a highly successful meeting, I’m sure was shared by all. I look forward to seeing you all next year and hope you are eagerly anticipating the ‘flat whites’.